Responding to recent requests for more wildlife submissions, I’ve gone to my archives and pulled up photos from my first Africa trip. 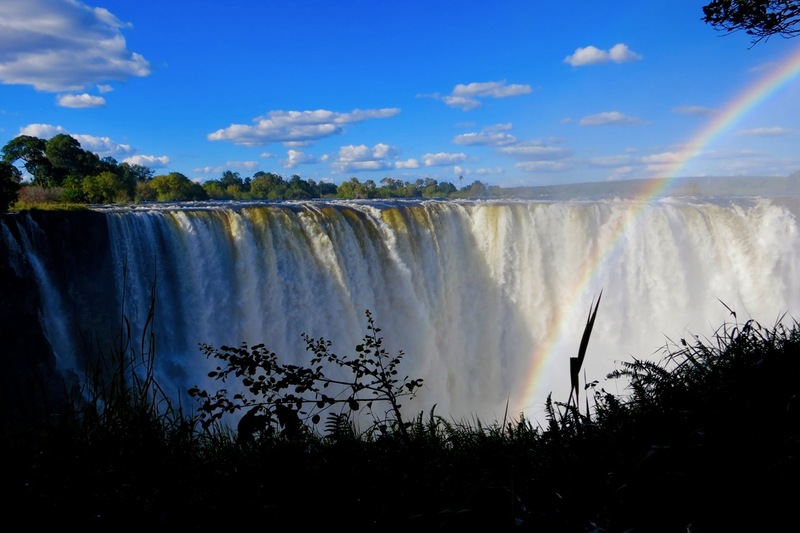 Dating from April, 2012, these are from Zimbabwe, Botswana and Zambia in south central Africa. This the first of perhaps 6 or 8 sets I’ll put together over the next several days. 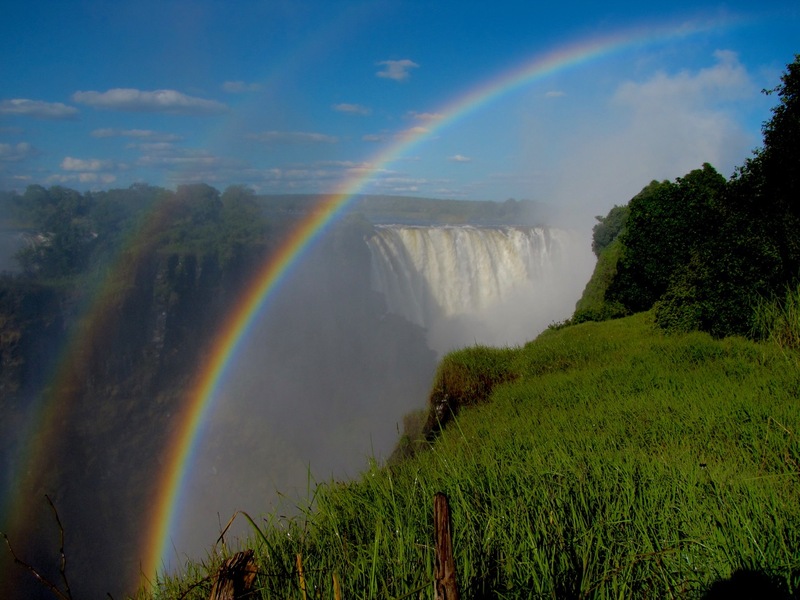 I’ll begin with some scenery at spectacular Victoria Falls, featuring wonderful rainbows in the all-enveloping “mist” (actually more like a downpour that killed a camera, fortunately just my backup ). Here is an up close and personal look at a segment of rainbow. 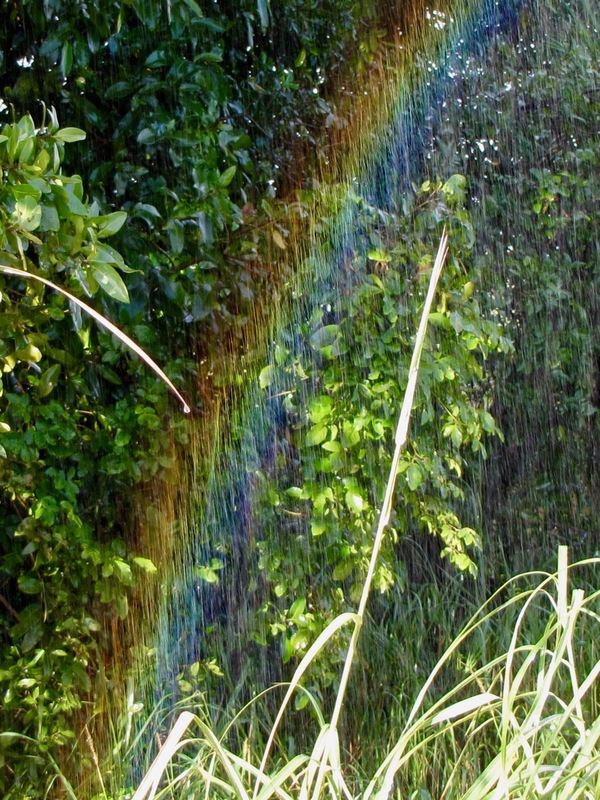 Have you ever noticed that the sky looks brighter inside a rainbow than outside? Here you can see streaks produced by falling drops on the concave side but not on the convex side. And streaks that traverse the bow change color as they do so. 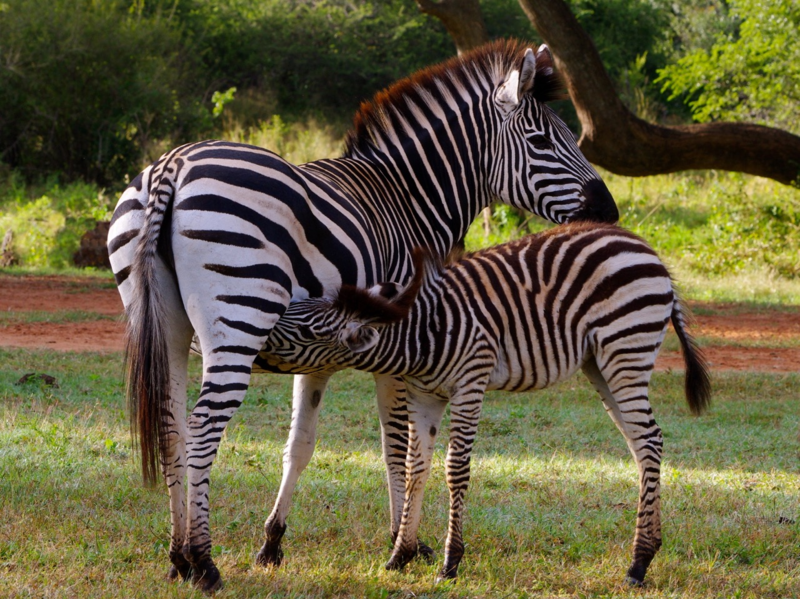 Here is a plains zebra (Equus quagga) nursing a fairly large foal. 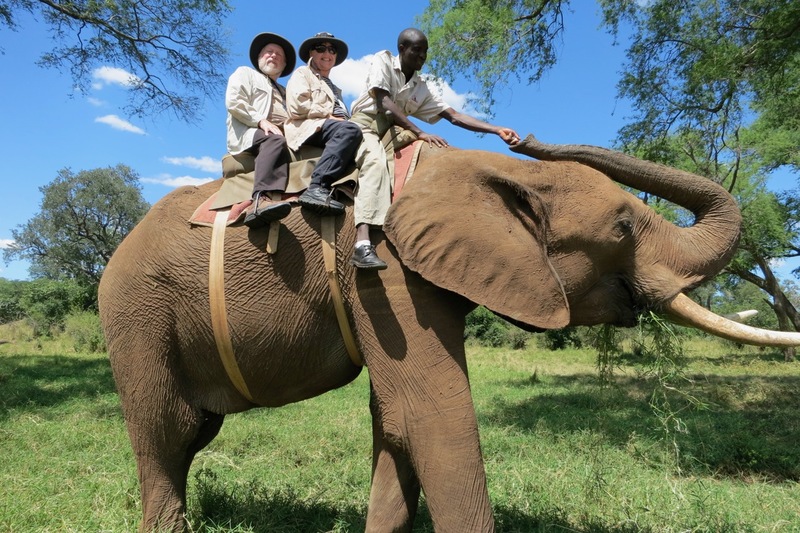 We had a ride on an African elephant (Loxodonta africana) in a private game park. 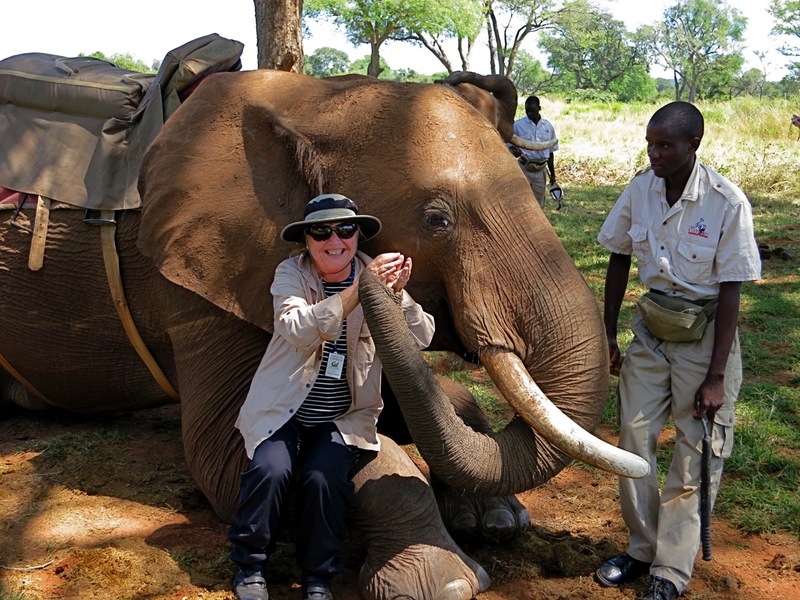 The elephants were free range within the reserve but came when summoned by a bell, presumably because they got treats. There was an opportunity for meet and greet after the ride. That’s my wife again and you can see from her name tag that this was another group tour with UC Berkeley (Cal) alumni. We also had a boat ride (the first of many) on the Zambezi River upstream from the falls. 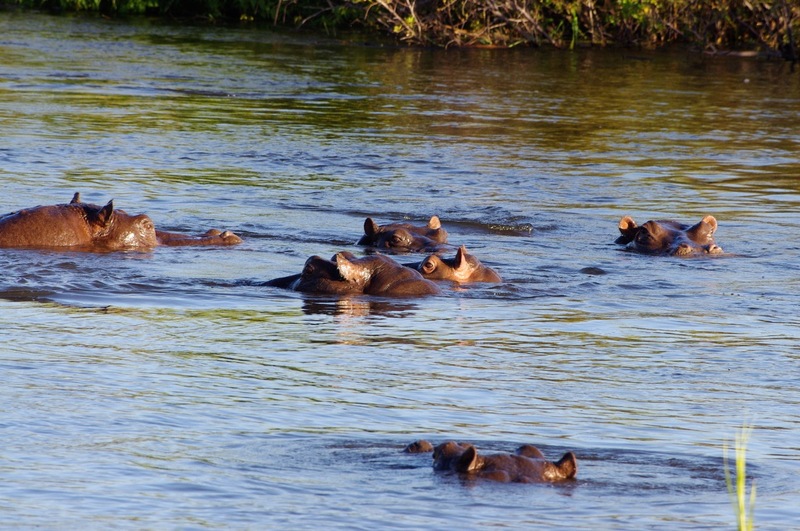 There were many hippos (Hippopotamus amphibius). We stayed at a lodge that overlooked the above mentioned game reserve, set on a terrace about eight feet above a nice meadow that was frequented by an assortment of wildlife. 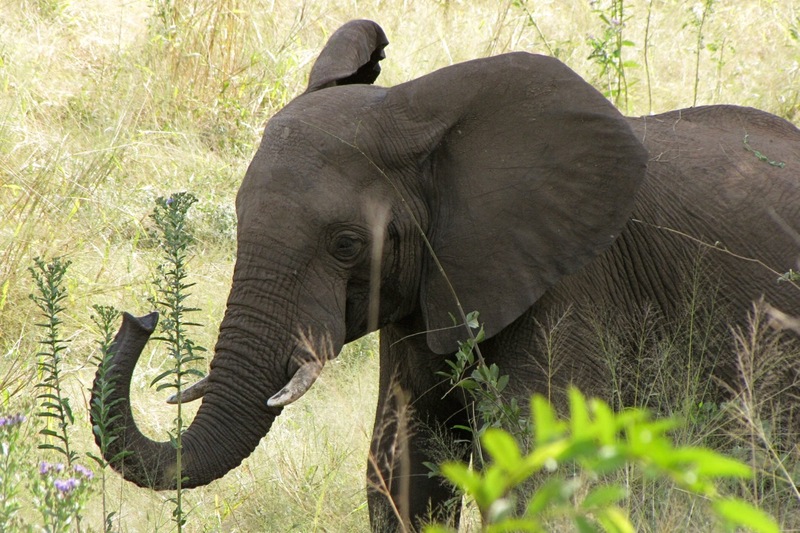 Here is a young elephant that came right up to the terrace wall as we were sitting on our porch with cocktails. 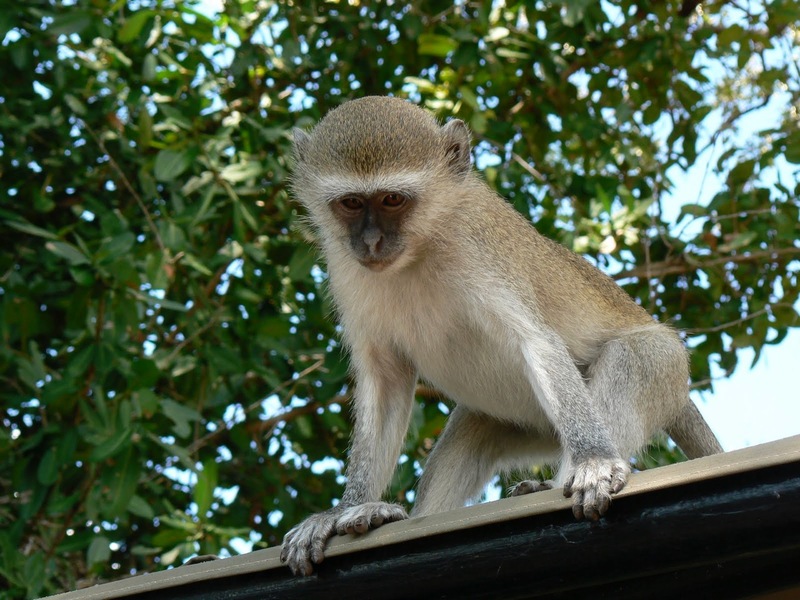 I think this vervet monkey (Chlorocebus pygerythrus) is perched on the roof of one of the Toyota safari vehicles in which we took twice daily game drives. 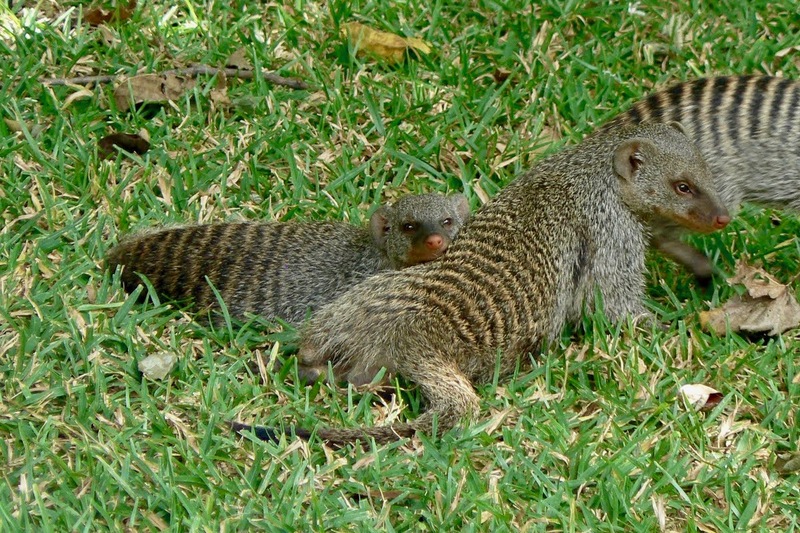 Banded mongooses (Mungus mungo) were common on the grounds of pretty much every lodge we stayed at. This entry was written by whyevolutionistrue and posted on August 9, 2018 at 8:00 am and filed under landscapes, mammals, photography, primates. Bookmark the permalink. Follow any comments here with the RSS feed for this post. Both comments and trackbacks are currently closed. 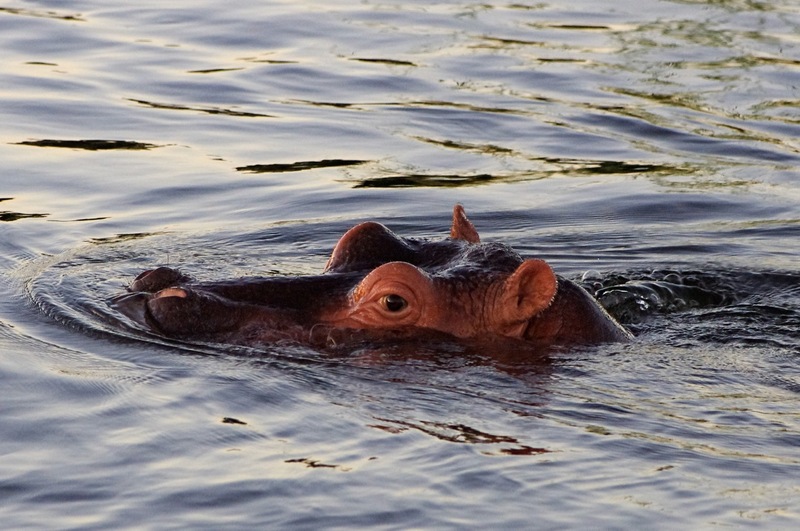 Watch out for the hippos – most dangerous animals in Africa. Apart from the mosquitos and the humans. Yeah, we were in a good sized boat, nothing a hippo could tip over. Just made me wonder, what does an elephant consider a treat? Very enjoyable photos…looks like a blast! Beautiful country and fauna. Great pics. 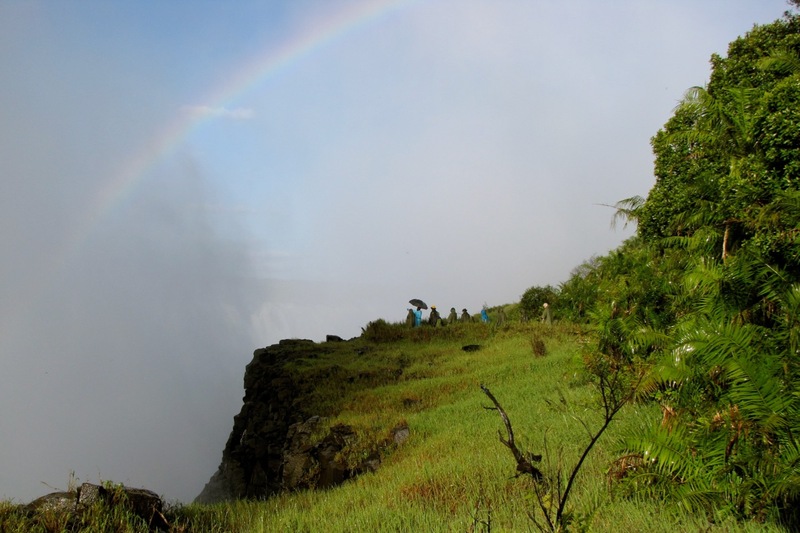 We went in 2006 and stayed on the Zambia side of the river. Hippos would walk through the campground late at night, giving their ‘ho ho ho’s while the monkeys skittered across the tent roofs. A truly amazing area.